Natalie Steers is pursuing a double major in English and Creative Writing as well as a Minor in Business. She's always had a passion for the arts and her favorite pastimes generally include practicing yoga, reading realistic fiction and fantasy novels, listening to NPR, drinking hot chocolate, and constantly reteaching herself how to knit. 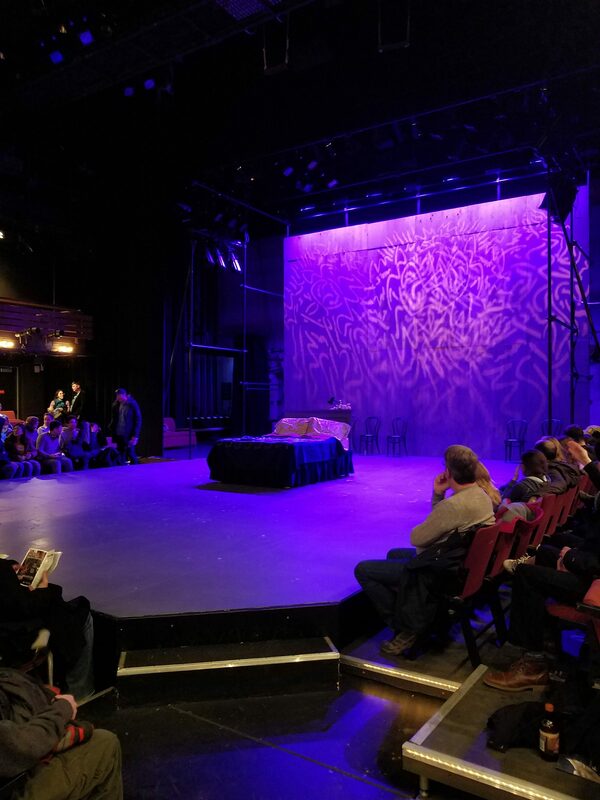 On Saturday night, two housemates and myself journeyed to the Arthur Miller Theater on north campus to see Tony Kushner’s Angels in America. Sitting down in our general admission seats we were a little wary and a little intimidated by the supposed run-time of the play: 3 hours and 30 minutes, plus two 15 minute intermissions— for a total of 4 hours. Despite our apprehensions, it was an energetic, moving, and thoroughly engaging 4 hours. What seemed daunting actually never had a dull moment, and left us wishing for Part 2— just maybe not that same night. Staying true to Kushner’s wishes and the play’s stage directions, the set was minimalist and scenes transitioned without blackouts. Instead the Music, Theater, and Dance cast had drums beating in the background and furniture whirled around. Projections stated the dates but with the changing of scenes happening with actors pushing, twirling, and wheeling the set around, we saw the time pass before our eyes. The whole performance used the space and lighting very well. 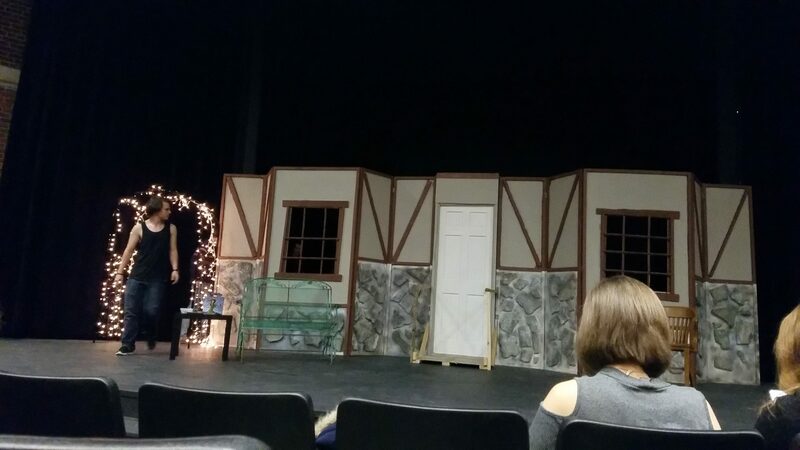 Two places could be represented at once on the stage by their expert use of lightening, allowing key scenes with both couples arguing to be powerful moments. If actors weren’t in scenes, they watched in chairs lined along the back of the stage, so the presence and intensity of the scenes was never lost. The physical presence of all the actors was amazing to watch. While Sam Dubin embodied a spitting-with-rage Roy Cohn, and the show lacked nothing in passion, the cast didn’t shy away from moments of silence. The silence after Harper Pitt’s line to her husband, “You should want to be married to me”, gave me goosebumps. It seemed like a long silence but I was on the edge of my seat wondering what the response would be through every suspenseful moment. Savanna Crosby’s performance of Harper Amaty Pitt through the whole show was riveting; her first scene saw her shaking and shivering as one with the character. It must have been a tiring action but was just as an amazing work of physicality. 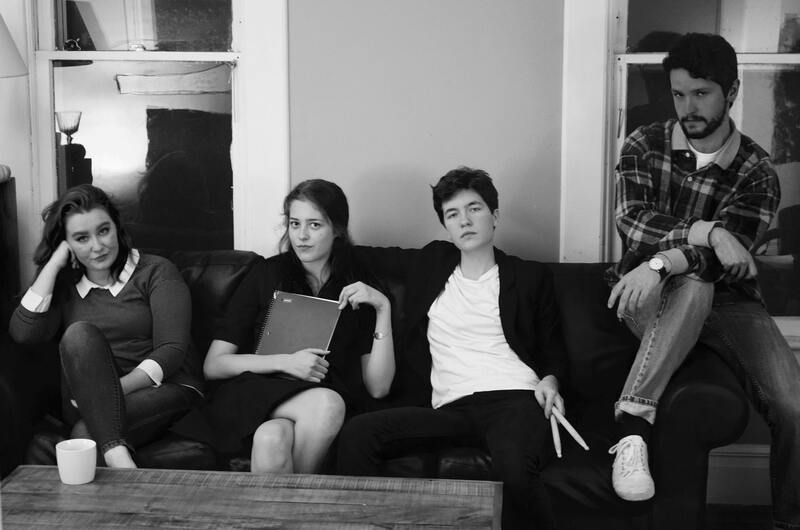 The entire cast fit together, creating intimate and meaningful relationships seemingly from the air. Together they crafted a great adaptation of this award winning play. 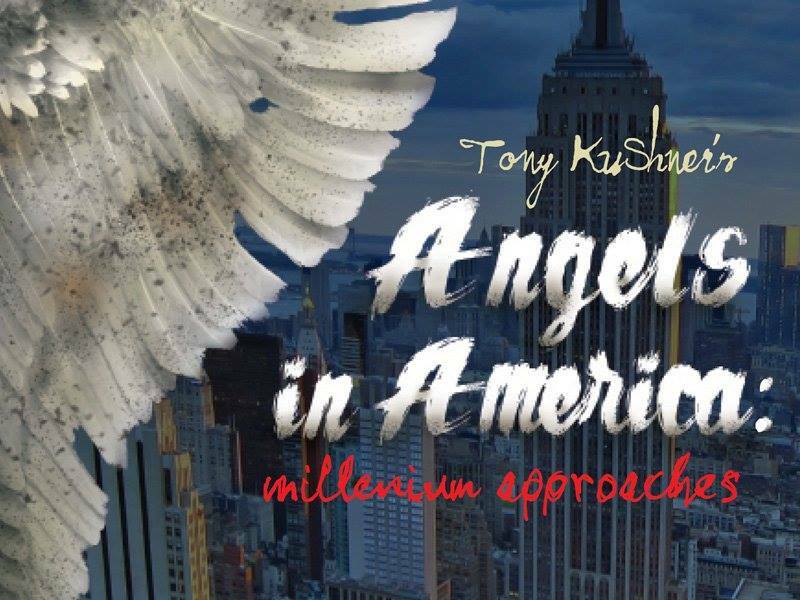 Angels in America deals with important but difficult issues and they tackled it’s complicated themes, ultimately creating a memorable theater going experience. This weekend, my roommate and I made our way for the first time to the Stamps Gallery lobby. There we were handed vibrant pink and yellow earplugs and told to wait near the ticketing table. As a small group gathered, sonic noise (there is no other descriptor for it) started up from a cornered off section of the large room. A man came out and in a pleasant shout over the noise told us that if we wanted FK Alexander to sing to us, we just had to hand her our ticket. We were encouraged to move around during the show and assured we did not need to be sung to unless we wanted to be. With that, we entered through the black curtains partitioning us from the sound. I waited two seconds and then stuffed my ear plugs into my ears; even muffled I didn’t feel I was missing the effect. I sat down on a cushion placed at the very front of the audience line and waited eagerly. In her artists’ statement, FK Alexander says that she strives for healing and recovery “through sensory overload together with grueling repetition and ritual”. If my experience counts for anything, I would have to say she’s onto something. By the third person to be song to, I knew her ritual well enough to recite it (for those of you I convince to attend, I won’t ruin it for you). But it’s then that suddenly I remembered I’d been in a community production of The Wizard of Oz when I was in the 4th grade. When the last show was over, I remember clutching a box of my make-up, shoes, and gifts from the cast, and crying into my mother’s shoulder completely heartbroken. I’d had such an amazing time in the show and when it was over I didn’t know what to do.And this memory led me to how my mom and I used to always watch Judy Garland movies when I was little; we’d sing her songs around the house. And that made me miss my mom and realize I hadn’t called her in awhile. Suddenly my eyes were a little watery; I couldn’t tell you how many times FK Alexander had sung the song at that point. I decided to move locations, maybe someplace further from the stage where the base of the noise wouldn’t pound so violently in my chest and make my eyes blink so much. Standing at the back of the space, I was able to watch FK Alexander’s face better as she sang to each individual. 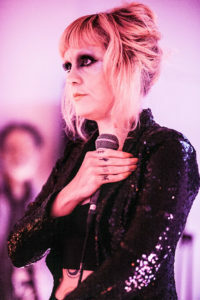 Watching her eyes and the slight tweaks of her mouth, I was able to see her form a connection with everyone she sang to; being witness to this was a beautiful experience in itself. So while I didn’t get sung to in that hour, I walked away feeling a little lighter. I encourage anyone who is remotely interested in the experience I just described to go see (I Could Go On Singing) Over the Rainbow before they leave Ann Arbor. You may be surprised by what you remember about yourself or how overwhelming sound can leave you feeling less overwhelmed. This was my verbal reaction to my roommate, as I scrolled through my UMS email newsletter and read the description for (I Could Go On Singing) Over the Rainbow. I clicked on the “Learn More” button; I was intrigued. FK Alexander’s performance is 65 minutes of a static recording by Judy Garland singing “Over the Rainbow”; FK Alexander proceeds to sing this song with her over and over again. But she is not alone- she sings it to individual audience members as she holds their hand and stares deeply into their eyes. Uncomfortable, yet? 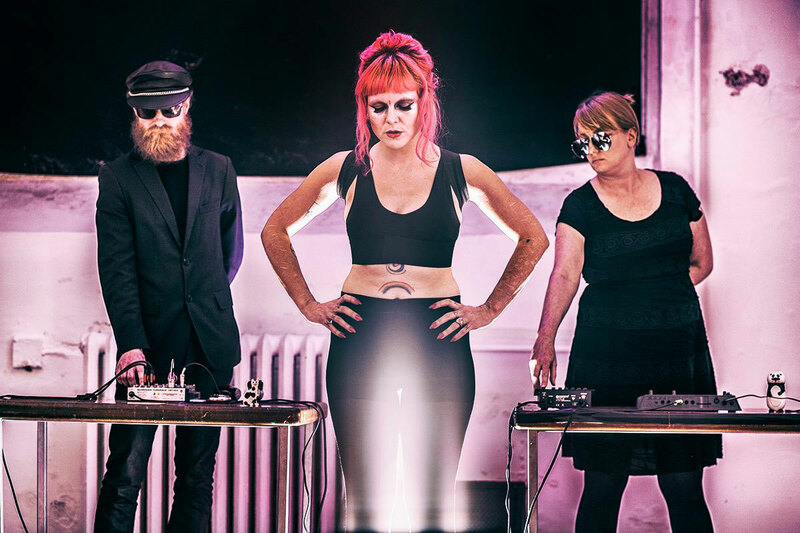 The Okishima Island Tourist Association, comprised of Lea Cummings and Sarah Glass, add noise and sound to the experience that requires the performance disclaimer to read “This sonically immersive performance features sustained loud noise, strobe lights, and limited seating”. The whole experience sounds overwhelming, strange, and wonderful. Still intrigued and a little apprehensive of what I was signing up for, I bought tickets for me and my roommate- after checking that you volunteer to be sung to and are not chosen randomly for audience participation. 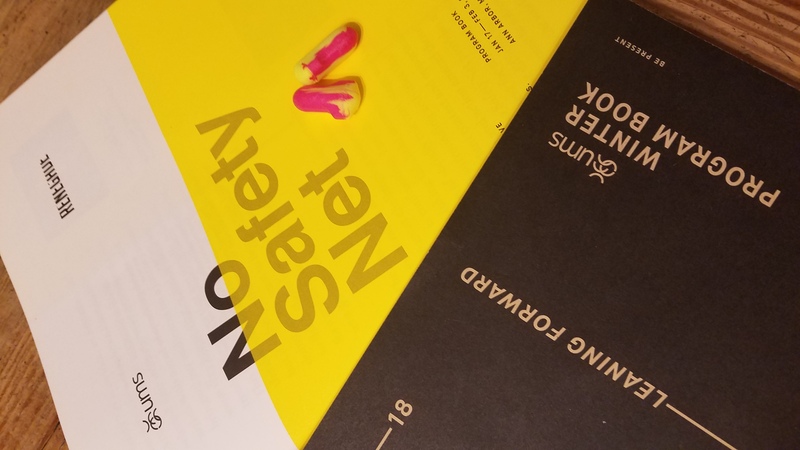 (I Could Go on Singing) Over the Rainbow is part of UMS’ “No Safety Net” series. This is an initiative launched to foster conversations about difficult topics through theater. It’s slogan is “Provocative Theater. Courageous Conversations. Safe Spaces.” It’s purpose is to confront audiences with situations that might be uncomfortable and because of this discomfort, are also awesome art. 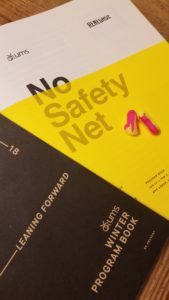 To hear more about the “No Safety Net” series, watch this video about other performances coming up. If you’re still curious about (I Could Go on Singing) Over the Rainbow and want reassurance of what you might be getting into check out this preview video. Walking into the Keen Theater for RC Players’ Proof (a play by David Auburn) this past weekend, the first impression I got of the play was from the set. Resting center, it took up the width of the stage, connected by hinges and locks that create a fold out living room. It was a living room with discarded papers and pizza boxes scattered across surfaces and the floor; a sight I couldn’t say was unfamiliar to me as I looked back on my four years of college and thought of the leaning stacks of papers and folders that at that moment were sitting on my desk at home. In reading the Director’s Note in the program, the directors’, Emma McGlashen and Sophia Kaufman, closing remarks were forefront in my mind as the show started: “The language regarding mental illness in the play is casual and the characters’ conversations are not overly concerned with being appropriate or sensitive. We have worked to ensure that these moments reflect the characters’ pain, rather than a flippancy we do not share”. This seemed a well crafted statement that deserved acknowledgement in a play that deals with difficult issues of mental illness, grief, family, and genius. And I think their efforts were put to good use- their interpretation allowed audiences to see a family grappling with elements outside their control in whatever ways they could find to articulate them. Given that, the play was surprising humorous. This was due in large part to the dynamic and sarcastic attitude of the lead Catherine, played by Nicole Banchik. She was convincing and engaging presence- whether she was playing opposite her father, her possible love interest, or her sister. 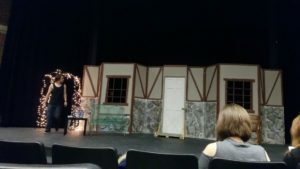 The second half of the play, after an intermission in which we got to witness the set transform and unhinge from a living room into an outdoor courtyard, we saw tensions rise between all characters. The chemistry between Catherine and her father, played by Cameron Flynn, was somehow deepened in the second half- I believe through a combination of the written flashbacks and the greater amount of stage time that allowed Flynn to add distinct elements to his character such as the crossed arms or the exasperated hand gestures of an elder man. Overall, it was a well crafted show and an excellently selected cast that worked well together to present a story of family and math related puns! Proof is a play by David Auburn, that won the 2001 Pulitzer Prize for Drama and Tony Award for Best Play. 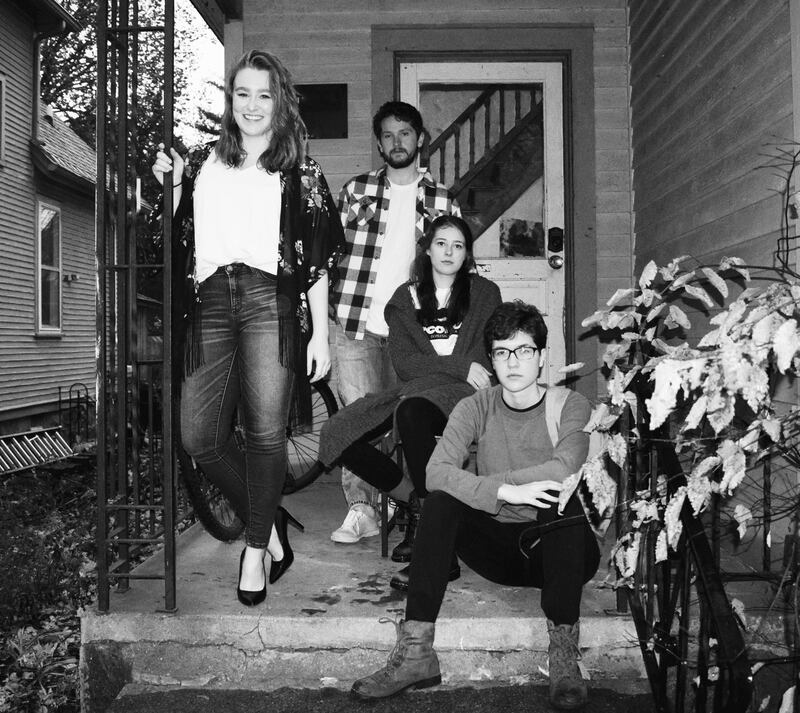 Featuring a daughter, Catherine, her recently deceased father, and his GSI, Hal, this play touches on grief, mental illness, math, and proof- mathematically and otherwise. The RC Players have tackled this mastery of family dynamics and mathematical intricacies in what promises to be a great production. 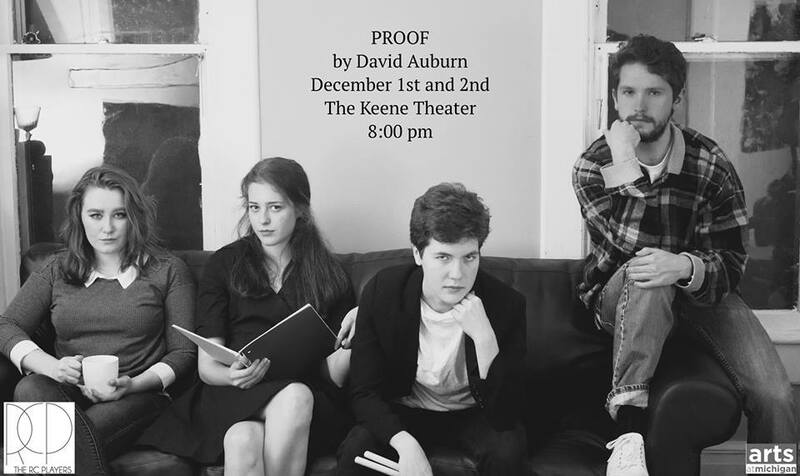 Proof will be performing this weekend in the Keene Theater of East Quad Friday (12/1) and Saturday (12/2) at 8pm! Come check it out, take a break from studying, and watch other people do math! Here is the Facebook event for more updates, a Meet the Cast video, and glimpse of this weekend’s set! 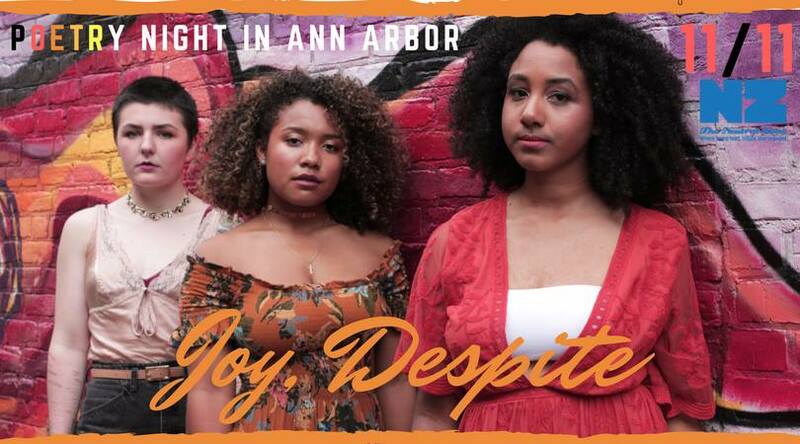 Despite having done some research and being really excited about attending a poetry event this semester, I went to “Joy, Despite: Poetry Night in Ann Arbor” not really knowing what to expect. 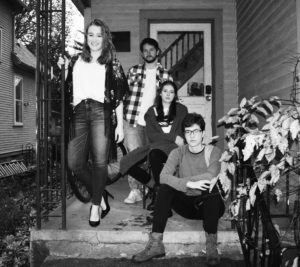 I knew it featured Ann Arbor teens and I had researched the headliners Kyndall Flowers, Dylan Gilbert, and Zaphra Stupple, but that was all. It completely surpassed any expectations I wasn’t aware of having, to create a night of joy. As Marty Roper said in the opening statements, this show was about “transforming pain into purpose”. The result of this transformation left me alternating between emphatic snaps and thoughtful contemplation of my own interlocking identities; it is my opinion that this is the sign of good, if not great, art- when I, as a viewer, become so invested in a work that I begin to internalize and apply it to my own life. 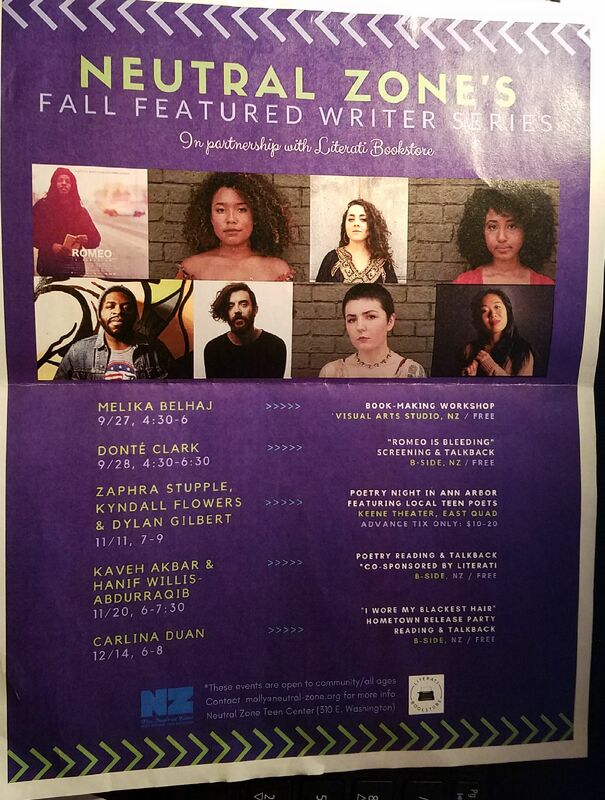 This experience left me honored to be in a space with these wonderful artists and their families. Pieces touched on topics of class, race, gender, anxiety, depression, access to clean water, and ethnicity. The bravery and vulnerability these teens harnessed in expressing their stories was humbling and inspirational. All these amazing works culminated in a final piece together that pulled phrases and topics from each work performed that night. 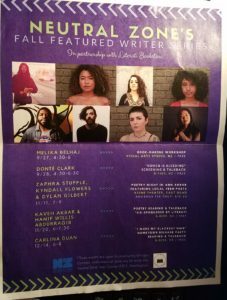 They were woven together in one huge final spoken word piece about diversity and power. The result hung in the air and remains with me a day later. Visit their website to learn more about ways to get involved and upcoming events!